When going down to the beautiful peninsula of Baja California Sur. You undoubtedly will fall in love with Los Cabos. And before you know it you are looking for Los Cabos homes for sale. And for finding you the dream home that you and your family can enjoy, you need the best agent. We at CaboCribs know what it is like to move to a foreign country. Our broker and agents are all people who have come down here to enjoy living in this amazing place. And all of them know what challenges you might face and how to overcame them. We believe in finding you not just a Los Cabos home for sale. But rather we like to focus on finding you the lifestyle you are looking for. Lifestyle in Los Cabos can be very different depending on the area. For instance, Cabo San Lucas is know for its nightlife. There are many young people going out and about in downtown and on the beaches. You might be looking for something that has the quiet life when at home. But still close enough to all the convenience of Cabo San Lucas living. But perhaps you are looking for a more quiet place, not over run by tourist and just enjoying living among Mexicans. Then San Jose del Cabo is the place for you! Here you can find nice restaurants with live music. People hanging out on the public square. And significantly lesser tourist. But you might want to live in between and enjoy life and city on both sides. For that there are many gated communities out on what we call the Cabo Corridor. There you can find amazing views out on the Sea of Cortez. And on the back Mountains that bask on the evening glow of the sun setting. Or perhaps you want an even more quieter place. somewhere in a small town. Then we would recommend the East Cape. Wit small fishing towns like Miraflores, Los Barriles, Cabo Pulmo, you will find the peace and tranquility you are after. There are many different options when choosing a Cabo San Lucas real estate agent. But you want to make sure you find one that will help you find what you are looking for. And do their best to make your time and money worth while. Here at CaboCribs we do what ever we can to make sure you find your new dream home. Indeed, we don’t look for selling you a property and be done with it. What we are focused on is being your first contact when moving down to Cab San Lucas. When you are ready to look for a home in a foreign country you want the best help you can get. And the Cabo San Lucas agent of CaboCribs will go to every extend getting you this help. Our job is to help you find not only a home. But let you get to know the lifestyle you will have once you life starts here. Remember that even though you only live maximum 4 hours from your hometown, it is still a different country. Mexico has a different culture then you might have been use too. And they do things sometimes quite differently here. Therefor we do our outmost to help you in everything you need so you can get use to the Mexican way of life. We know this means you will have a more relaxed, layback life. And Mexican culture is always around family. Family is the most important thing you have. And once you life here you will see that you will be able to spend much more quality time with your family. And your friends of course. If they are old friends visiting you from their homes, or new friends you have acquired here. Here at CaboCribs you can find all the properties that a re currently available in Los Cabos real estate. And feel free to sign up for our newsletter or contact us for more info about Mexico and real estate. Like us also on facebook to be in touch with the latest events and our highlighted properties. Los Cabos has many different avenues for you to explorer what it means to be on vacation in Mexico. But our cabo san Lucas real estate agents are one of the best to show you what it means to live in Mexico. And we do our best to make you experience it like a local. Because let’s be fair, a vacation in a town is different then living there. And even though Cabo isn’t far away from home, it is still another country with its own laws, culture, language, and curiosities. And to make your search for a new home worthwhile, our cabo san Lucas real estate agents will help you not only with looking for a new home. But also help you see all the things you might need to know surrounding those properties. How the gated communities work, where to nearest convenience store is, or the regular groceries store. CaboCribs. com has the most extensive list of the Cabo San Lucas real estate MLS of all real estate agents in the area. This is made possible thanks to the design of our website and a dedicated server that processes all the extensive data of the MLS list. Every day the cabo san Lucas real estate MLS is being updated due to every day sales and new listings added every time and to give you the latest listings and to make sure you will not be interested in a place that has been sold already. check out more about the cabo san Lucas real estate here. 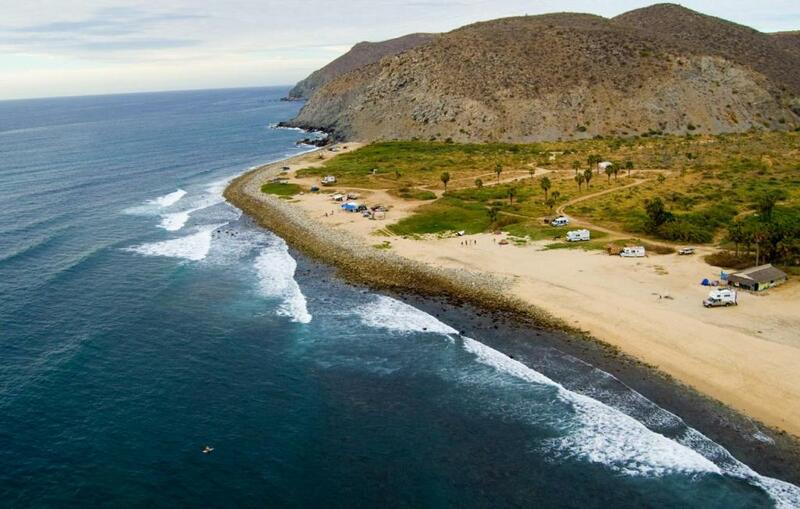 One of the smaller places in Los Cabos is Pescadero. And believe me, the Pescadero real estate is an upcoming area for beach lovers! Pescadero has always been a small fishers village, and probably will stay that way too. And that makes this small community so perfect for retirees or families who love the quiet life. Still it is very close by to Cabo San Lucas where you can do all your main shopping in the larger malls that are located across town. But when coming back, leaving that rural life behind you, that is when you really start to enjoy this small town. Even though this is a small village, Pescadero does have quite some different options when it comes to properties. There are some condos for sale plus some homes right on the beach! but the most common thing that is been sold are pieces of land. And since it is a small community, prices are really low! visit this link to see all the properties that are on the market right now! January 11, 2019 Comments Off on Pescadero Real Estate is booming! This is THE BEST website to find Cabo Real estate. Here at CaboCribs we have always the newest listings and we are the first ones to display them on our pages. Our real estate market here in cabo san Lucas is booming! Every month new plans are made and new development projects start increasing the real estate market. Therefore you can buy for yourself as a home owner, or looking for an investment property for in the future. here at Cabo Real estate it is all possible. Right at this moment there are many different options to buy land for a very reasonable price. Here in Los Cabos real estate and mostly barren lots are very much wanted because of there location. Therefore big companies and resort are buying them up making your property be worth more then triple as what you paid for. The new 4 Seasons resorts is being build in the East Cape as well as the Aman resort. couple of 100 feet away there you can buy same property and beach views as in this resorts for more then half price lower. Once the resorts are build and people start flooding in your property and especially if you have build a home will increase its value tremendously. If you do not want to wait so long to start making money of your Cabo Real estate there is another way. You start buy buying a property whether it is a house or a condo. and then you rent it in the months you aren’t in Cabo. that way if you publish it right you can earn some serious money. You can earn up to $200,000 USD a year! Besides that you always have a place where you can come back to and enjoy it for yourself during the holidays. Come and visit our listings page and look for the property you are interested in. Also like our Facebook page to stay up to date with the newest news about Cabo Real estate and everything else Los Cabos has to offer. Are you looking for real estate pescadero? Then we at Cabocribs have everything you need! We are one of the few real estate agency that has an office in this loving small town. On our website you find all MLS listings that are right now available in pescadero. All condos, houses, or land we have it all!! Our agents in Pescadero have lived there for a very long time and have great connections with the local community. they can explain to you everything there is to know about this small loving fishermans town. And because of their connection they are able to negotiate good deals for your real estate pescadero. Pescadero only has around the two thousand inhabitants. even though it is a small town, it is very spacious. And there is plenty of lots for sale that are close to the beach which will not cost you a fortune. The main activities you have in pescadero are nature activities. which includes hiking, climbing, camping, bird watching, whale watching in winter time, swimming, surfing, fishing, star gazing and more. If you want to come down and explore all the fascinating things pescadero has and want to experience the village life, we can show you around and show you the houses or properties that are available. If you want to do some of the activities mentioned or want to do something else we can help you set up the activity and guide you to the place or let you know what are the best places to do these activities. You do not have the time to come down but still want to see what pescadero is like? No problem! with our 3D imaging we can show you how it will be like to walk around in the property of you choosing. We also can send you a short video of how the town is like and what it is like to walk around and spend your time there. Anything that you might need to make the decission to start a new life in paradise! visit our mls listings for the pescadero area here. Pescadero condos located in a small town with only 1,634 habitants with plenty of pescadero real estate to choose from. 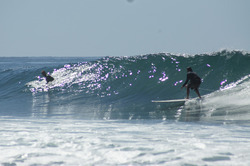 The climate of Pescadero is one of the best in Baja California Sur. Influenced by the Pacific Ocean, which moderates the temperatures during the whole year. In the summer the nice ocean brease maintaining the heat bearable. In winter time, which in general are the months March and May, are caracterized for it soft warm and dropping temperatures at night. So if you are looking for a place to stay where it is quiet but still close by to Cabo San Lucas or the magic town of Todos Santos then this is the place for you! We at CaboCribs can give you the help you need! With our own office in Pescadero where we have agents who spend a lifetime in this nice town, can tell you all about the ins and outs of the place and can help you to find the best Pescadero Condos that is available. Search on our website for the area of pescadero and see which property you like, We have condos, Houses, Ranchos and more. The pescadero beaches are nice and quiet. The tourist haven´t found this beauty yet! When you think of Los Cabos, or Cabo San Lucas, you think sun, beach, ocean and good times. And most of the times when you got a taste of what Cabo has to offer you want to stay permanently. And then the most tempting amazing spots are the oceanfront real estate properties. There is a couple of things you need to know before buying oceanfront real estate in Los Cabos and why you should buy now and not wait! There is not a nicer feeling then waking up well rested and open the curtains of your bedroom and look out over the ocean. with your binoculars you look for humpback whales and their young. Living at the beach in Los Cabos is simply amazing. You can go and sit on your balcony or in your yard and enjoy the sand of the waves crashing on the sand and rocks. When you feel like to go for a swim it is just a short walk down. And do not forget you snorkel set since there is tons of wildlife to explorer underneath the ocean surface. At night you can enjoy the amazing view of the stars and moon that light up the beach and surroundings. There is no light polution anywhere close by and with your naked eye you are able to see the milky way and star clusters and perhaps a galaxy or 2. Yes you can not make a mistake with buying an oceanfront property. But you do need to be fast. Los Cabos is not a secret anymore and many people found out how wonderful live is here and how amazingly good priced the oceanfront real estate is. So visit our mls search page or go to quick links to find the oceanfront properties that are for sale right now! growth compared to last year, bringing about 172,300 visitors, it seems Hoteliers are getting it right. With such a large increase in tourists, it is no wonder Hotels are fighting to improve their hotels in any way they can. Every hotel wants to be number one, but to beat the competition, changes have to be made. Los Cabos offers a dazzling view of its location on the southern tip of the Mexican Baja Peninsula. Apart from the striking location, tourists seem to be attracted to the variety of activities offered by Los Cabos’ resorts. This location is more than just a vacation spot. 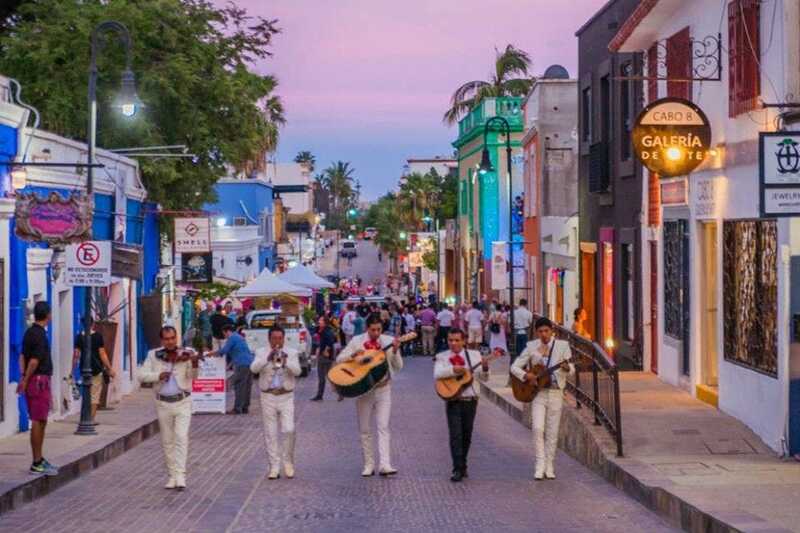 There is so much history to learn in Los Cabos thanks to the preserved spirit of the 200-year-old city of San Jose. Being part of this culture can be the perfect addition to a relaxing whale-watching adventure. Los Cabos seems to be the full package. The Island has something for every type of person, from a quiet to a more artistic side offering paintings and sculptures that give tourists an insight into Mexico’s culture. This inflation couldn’t come at a better time. In 2014, Hurricane Odile’s heavy rain and 125 mph winds brought a lot of destruction to the Peninsula. Though the whole Peninsula was affected, the coastal resorts were hit the hardest. Hurricane Odile, which is reported to be the strongest storm to ever strike the Baja Peninsula, left the beautiful resorts ruined. It was only two years ago that most of these hotels were able to open up and begin profiting once again. Luckily, with the reconstruction of many of these resorts, came some upgrades. Hyatt Ziva, for example, added some delicious enhancements including a new coffee shop and embellishing their already-popular restaurant. After working so hard, it’s nice to see these resorts take their place as one of the top destinations to visit. Receiving such a hard hit might have seemed like the end, but it seems that with this end a new beginning arose. This increase in growth didn’t just catch the eye of local hoteliers, but other companies hoping to make a profit as well. For this reason, many hotels are expanding their scene to make it as upscale and luxurious as possible. With new hotels on the rise, older hoteliers need to expand and make changes so they can not only keep up with the demand but to stay on top. This acclaimed corridor has caught on to this tremendous growth and is quickly expanding with new hotels. 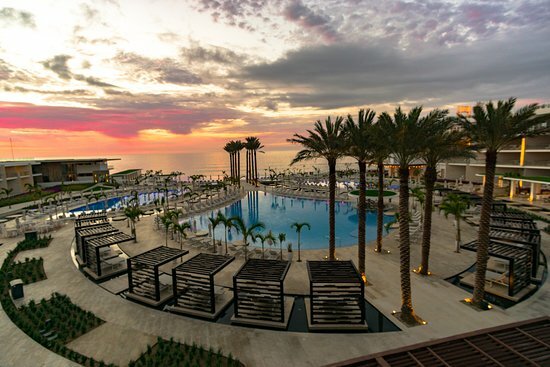 Following its profit from hotels such as The Cape, Los Cabos is opening many new upscale spots with acclaimed names such as Hard Rock and LeBlanc Resort. 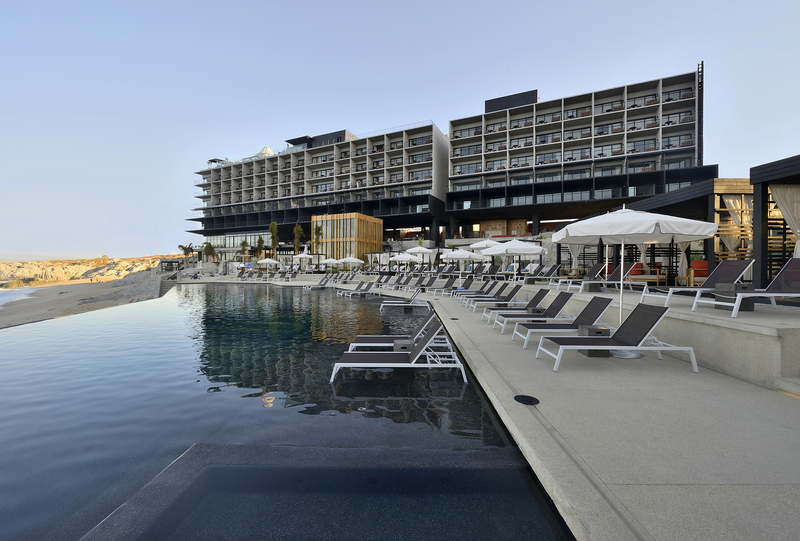 Travel Agent Central reports that Garza Blanca Resort & Spa Los Cabos will be debuting in July as a Preferred Hotels & Resorts member with “315 suits, lofts, penthouse and master residences.” Almost all the suits will include a kitchen, living room, and dining room and if requested, a private chef is also feasible. This property will also be filled with bars, restaurants, and many places for the guest’s enjoyment. Though this increase in hotels might seem like a threat to already-standing hotels, it seems the increase in hotels is part of the reason the city has become such an acclaimed location. With this surge in tourists and thus hotels, has come improvements around the city as well, such as an augmentation in the local airport and freshly-paved roads. expansion. Hoteliers are also getting creative. By offering rewards, some hotels show there is more to them than just a fancy location. Le Blanc Spa Resort Los Cabos, for example, is offering credit to anyone who stays more than four nights at their resort. Since their Spa is well-known, they allow guests to use this credit for extras, including massages. What better incentive than offering guests extra services for no extra charge? LeeRoy was very conscientious, hard-working, knowledgeable and pleasant to work with while looking for a potential real estate purchase in Cabo San Lucas, Mexico.